Billionaires are buying the old politics—but state and local activists are building a new politics that puts democracy first. Are Americans ready for great big reforms that renew democracy? Americans keep telling us they want real reform with local and state resolutions—more than 600 so far—calling for a constitutional amendment to overturn the US Supreme Court’s disastrous Citizens United ruling and restore the essential premises that money is not speech, corporations are not people and citizens and their elected representatives have a right to organize elections where votes matter more than dollars. On Tuesday, the city of Kent, Ohio, joined the list, giving 64 percent support to a resolution that declares “1. Only human beings, not corporations, are legal persons with Constitutional rights, and 2. Money is not equivalent to speech, and therefore, regulating political contributions and spending does not equate to limiting political speech.” To emphasize their point, Kent voters mandated the establishment of an annual Democracy Day to focus attention on the need to let the will of the people—as opposed to big money—define the direction of government. Americans keep telling us they want real reform with grassroots organizing, petitioning and marching on behalf of voting rights that—despite the ongoing assault by right-wing politicians and the US Supreme Court on Voting Rights Act protections—has yielded tremendous victories such as the groundbreaking Oregon and California automatic voter registration laws. And Americans told us a lot on Tuesday by backing bold new responses to a broken politics. 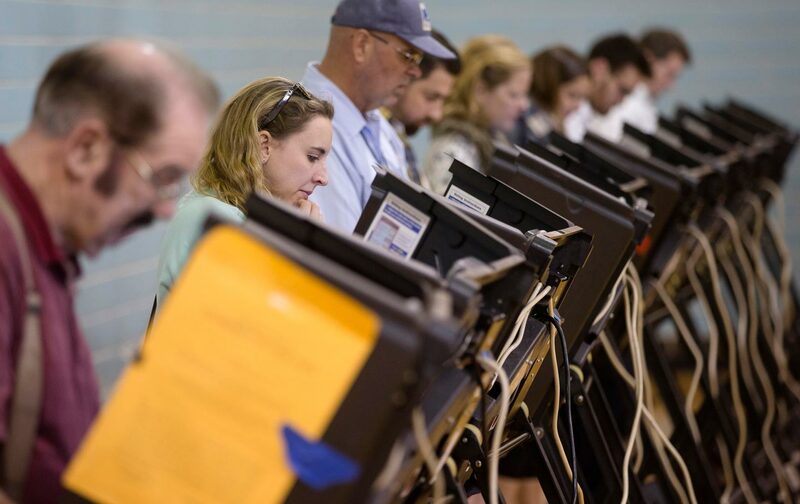 71 percent of Ohioans voted to restore competition to legislative elections. The crises created by big money in politics—corruption of governance, warped policy making, vapid campaigns, low turnout—require local, state, and national action. National action—constitutional and congressional—will be the heaviest lift. And that’s why it is vital to keep conscious of what can be done at the local and state levels. Model responses matter, and the 2015 election results signal that they are coming. “From coast to coast, Americans are taking action to reduce the influence of wealthy and well-connected special interests on our politics and on our democracy,” says Congressman John Sarbanes, the Maryland Democrat who has emerged as one of the most innovative thinkers in Congress when it comes to election reform issues. Sarbanes is right about the need for congressional action. Democracy vouchers let citizens, not special interests, finance elections. But the most immediate response is for grassroots activists to take the cue from Ohio, Maine and Seattle and start making the changes that are necessary and possible in hometowns and home states across this country.